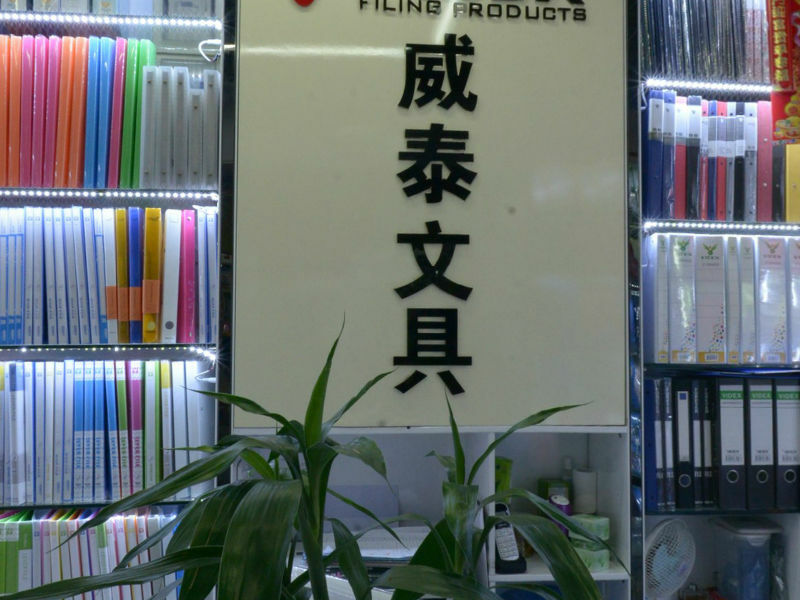 Report Shop Home > Suppliers > International Trade Mart (District 3) > 2F > Office & Study Stationery >Yiwu VIDEX Stationery CO.,LTD. Shop No. 24635, Street5, Floor2, Gate No.55, MarketInternational Trade Mart (District 3). Introduction： VIDEX stationery was established in 2009,is a comprehensive enterprise which integrates developing producing and trading.main produce 11 holes inner pages(daily output 300million),pp file,report cover,display book etc.all kinds of pp office stationery and PP student stationery. and we also accept customers like processing and production. our output value reached 1000million up to 2013,Our innovative product design fashion, replete with beauty, good quality, durable,products of modern science around the world, was greatly welcomed by the local market. We welcome new and old customers from all walks of life to contact us for future business relationships and achieving mutual success!